WYOMING, Ohio – The father of an American college student released by North Korea and now hospitalized in a coma says his son was “brutalized” by his captors. “Otto has been terrorized and brutalized for 18 months by a pariah regime in North Korea,” the father said in an interview scheduled to air Thursday night. 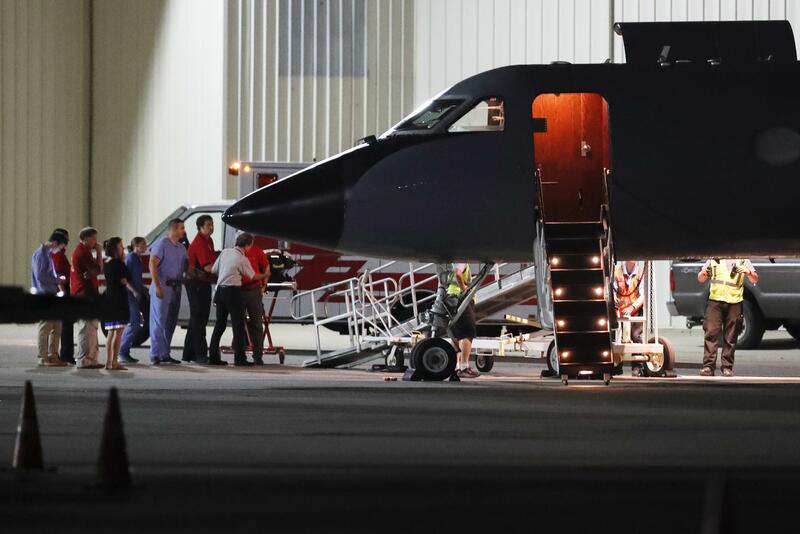 The 22-year-old University of Virginia student was medically evacuated from North Korea and flown to Cincinnati late Tuesday. He was then taken by ambulance to a hospital. Fred Warmbier said he does not know exactly what happened to his son during his detention. He and his wife, Cindy, planned a Thursday news conference. The public appearance will be at Wyoming High School, one of Ohio’s top-rated schools. Warmbier graduated from there in 2013 as class salutatorian and had played soccer. Residents of the northern Cincinnati suburb tied blue-and-white ribbons, the school colors, to trees near the family home. Joy at his release was mixed with concern after his parents said they were told he had been in the coma for over a year. City councilwoman Jenni McCauley said the tight-knit community was “thrilled” to have Warmbier back. She called him “a fabulous young man” who was known as intelligent, personable and well-liked in school and in the community. Ellie Boettcher, a 14-year-old rising freshman at Wyoming High, where Warmbier’s sister will be a sophomore, said students were elated. Warmbier was serving a 15-year prison term with hard labor in North Korea. He had tearfully confessed to trying to steal a propaganda banner while visiting. He was released Tuesday, more than 17 months after being detained. Secretary of State Rex Tillerson said Tuesday that his department was continuing “to have discussions” with North Korea about the release of the other three imprisoned American citizens. Published: June 14, 2017, 5:19 p.m.